As I child everytime I was asked what I wanted to be I had different answers to give. Doctor, teacher, pilot but today when I asked the same question the only answer I have is I want to be happy. After all that is what our life has been reduced to, a never ending pursuit of happiness! What attracted me to this book was the name of the book for that is the question I keep asking myself many times not to receive any satisfactory answers. 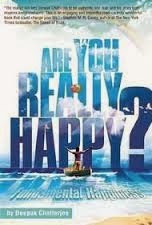 This book talks about the most important thing in your life… about happiness. We all want success, prosperity, financial gains and some of ius also desire recognition and fame, but when we look closer, the core question that each one of us stops and asks oneself every now and then is AM I REALLY HAPPY? As you might have observed in my reviews so far, self help as a genre is something I read very keenly for I love reading the author’s experiences. People tend to tell me that self help books are of not much use but then I don’t read them thinking tomorrow morning when I will wake up after reading this book I will be a changed person. I read for I want to understand another fellow human being’s pursuit in life towards happiness and finding its meaning. I believe that each book has some or the other learning to be taken along with after reading. And it is that learning which changes the way you look at things. It’s a matter of perspective I believe, the way you see and the way you believe. The author Deepak Chatterjee has managed to bring about this fact of life very beautifully in the book. A matter of perspective is all that life is all about. You see things and you conclude it the way you want to not necessarily the way it actually is. And this leads to all the problems we undergo or to rightly put it we feel we go through in life. The author has shared some of his personal experiences mixed with the learnings leaving you with some profound lessons of life. The beauty of this book is its simplicity. The language, narration, the sketches and the tables drawn to highlight some important contents manage to create a deep impact on your mind as you read and are also easy to read and remember. These small highlighters help you go back and still manage to remember the crux of the whole chapter. For the first time after a long while I read a book for so long (almost 4 days) purely because I wanted to let it seep into and then move ahead to another helping. It was so invigorating that I was compelled to think of many points myself. This book is surely to-be-read-again list for me as I am still learning all that the author has shared with us. 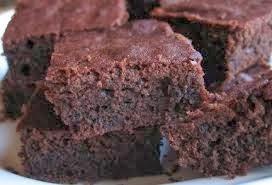 This book is like Chocolate Brownie - crunchy, delicious, chocolatey and yummy!